Humebrto Insolera explains why it is important for the Deaf to master their writing and reading skills. “Deaf learning” project is financed under the Erasmus + Programme, Key Action 2 - Cooperation for Innovation and The Exchange of Good Practices, Strategic Partnerships for adult education. “Deaf learning” project duration: September 1, 2015 - August 31, 2018. What we want to change with “Deaf learning” project? Project „Deaf learning” refers to deaf adults. This is the group, for which sign language is natural language and national written language is the second one, which they should be taught using methods of foreign language teaching. The problem of low competencies in writing among deaf people is common. The literacy of more than half of the deaf children does not correlate with their age and intelligence. The majority of deaf people in Austria regards their German competences as poor, they have problems with reading and writing. The majority of the women in the study read very little (mostly newspapers, magazines, illustrated texts, deadlines). Many of them prefer illustrated reading materials. This poor writing and reading competence applies both men and women. Some typical mistakes of deaf people in writing German: missing function words, wrong gender – wrong inflections, wrong plural forms, “deafisms”, wrong sytntax; and in Polish: wrong tense, person, singular/plural form, aspect, clause etc.. 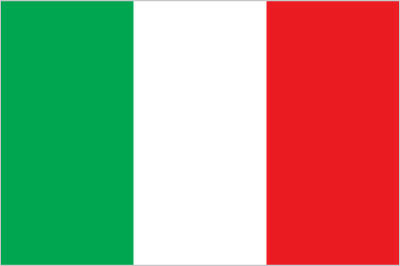 In Italy the partner has been looking for solution of another way of learning deaf people of national language adopting particular strategies to change curricula. In the UK reading and writing competencies of the deaf eleven-year olds are considerably lower than hearing kids in this age. This problem occurs especially if they want to progress to Higher Education. In Lithuania partner notices the literacy level among deaf people is decreasing. In Poland most deaf adults have low competence of reading and writing. Graduates of secondary school in Poland have a competence In Polish on the level A2, which is less than foreigners after 400-hours-course of Polish. How we want to change it? 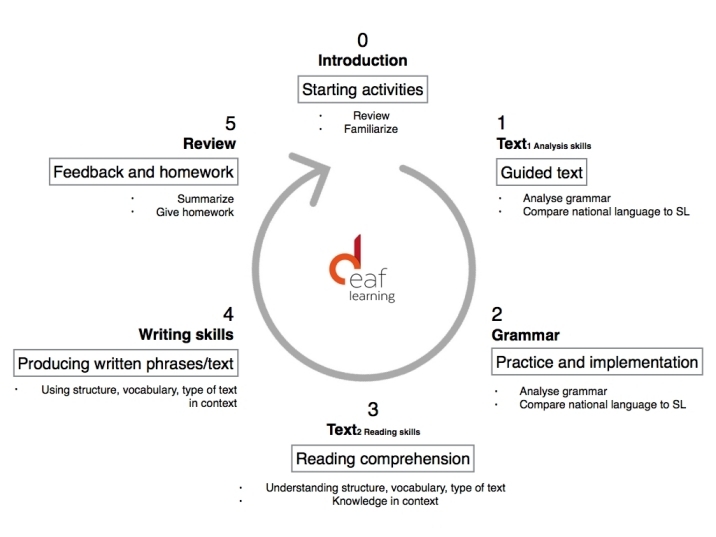 In “Deaf learning” project we elaborate the solution in common. We prepare national language programmes for teaching deaf adults. PZG OŁ has been existing since 1946 and for all that time gathered from hundreds to about 3 thousands of deaf adult people in the aim of supporting them in all life matters, within them in basic skills and human rights and act for equal developmental, educational, occupational and social opportunities. We are regional department of countrywide association, although we realise our tasks and project not only in Lodzkie region, but also all over the country. We have experience in international projects, as Spread the sign (2012-2015, 14 European countries). Our specific fields of interests are: vocational inclusion of deaf people (increasing chance to get the job by several means of support), sign language interpreters support, social service, support for hearing parents of deaf children, influencing education system of the deaf, influencing public sphere so that it would be accessible for deaf people. In pursuing their statutory goals, PZG OŁ cooperates with government and local administration, research and scientific institutions, agencies of health, education, culture, tourism ministries, with associations, foundations and institutes supporting its activities. Representatives of PZG OŁ are members of several commissions taking care of deaf and disabled people matters, such as: Human Rights Defender Bureau or Lodz City Office. Kaunas Educational Centre for the Deaf and Hard of Hearing is boarding school for the Deaf and Hard of hearing children. The Centre is situated in the middle of Lithuania. Deaf and hard of hearing pupils are educated in the Centre from Preparatory up to the 10th grade and they are at age from 7 to 21. The Centre provides general primary and basic education for children with hearing impairment meeting their general and special needs, educational tendencies. Children from entire Lithuania are attending the Centre. The part of the pupils has additional disabilities to hearing impairment (ADHD, physical disabilities, learning disabilities, mental retardation etc). The big number of pupils in the school is disadvantaged for socio- economic or other reason. Pupils from other cities have a possibility to live in the hostel of the Centre. The Centre as well provides pupils with free health care and Boarding services. Besides the General curriculum Deaf and hard of hearing pupils are taught following special subjects: Lithuanian sign language, Educational practical activity, Eurhythmics, Pronunciation, language and hearing training. The Centre has experience in Lifelong learning Programme' projects and its management. Ca' Foscari University of Venice has a national and international outstanding reputation for academic excellence in both teaching and research. Established in 1868 as a Royal Business College, Ca’ Foscari University of Venice was the first educational institution in Italy to offer higher education in business and economics. Nowadays, Ca’ Foscari offers 4 main subject areas of teaching and research activities: economics, humanities, languages, and sciences. There are over 20,000 students, over 6000 new enrolments per year, over 4200 graduates per year, almost 1200 professors, lecturers, native language teachers and administrative staff. Since 2000, the Department of Language Sciences (now Dept. 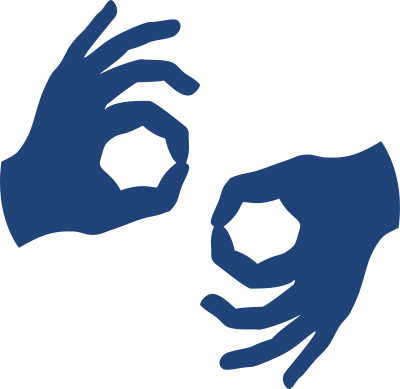 of Linguistics and comparative cultural studies) has been teaching the Italian Sign Language (LIS) as a specialization language at both the BA and MA level. It is also possible to study the linguistics and the sociolinguistics of LIS, the culture of the Deaf community, general issues linked with deafness and language acquisition in deaf people. Ca’ Foscari is the only University in Italy where it is possible to study LIS and to become a specialist of this language. Since 2006, the Department also organizes a one-year Advanced Course in “Theory and Techniques of Interpretation and Translation Italian/LIS”, which has the patronage of ENS (the Italian Association of the Deaf community) and ANIOS (LIS Interpreters Association). The Alpen-Adria-Universität Klagenfurt (AAU) is a young and innovative university, located at the intersection of three diverse cultures. Since it was founded in the year 1970, the AAU has become firmly established as the leading institution of academic education in Carinthia, and serves as an important hub for the acquisition, exchange and transfer of knowledge across the entire Alps-Adriatic Region. The AAU’s scientific achievements regularly earn national and international recognition. The projects carried out here serve as important impulse generators for the business location Carinthia. There are four faculties with 36 departments. More than 10,000 students attend the Alpen-Adria-Universität for the purposes of study and research, including around 1,800 students from abroad. Approximately 1,500 members of staff strive to produce outstanding achievements in the realms of teaching, research and university administration. Work and research is carried out within the AAU’s four faculties. In addition, several specialized centres contribute to shaping the university’s specific portrait. The Alpen-Adria-Universität is located in Austria’s most southern province, in Carinthia’s capital city Klagenfurt, which is home to around 100,000 inhabitants. The proximity to Italy and Slovenia results in an atmosphere of intercultural exchange at this intersection between the Alpine and the Mediterranean culture. The Alpen-Adria-Universität features an outstanding level of quality in teaching and offers a broad range of degree programmes and further education options. Every year, around 1,300 degree programmes and 400 university certificate programmes are completed. The AAU’s range of programmes includes around 60 university certificate programmes, with 1,869 active participants registered during the summer semester 2014. As such, the Alpen-Adria-Universität is one of the largest providers of academic continuing edu-cation in Austria. Student numbers at the Alpen-Adria-Universität have shown steady growth over recent years. At the same time, the AAU sets very high benchmarks for quality in teaching, and offers excellent supervision conditions to students. The research activities produce many and varied results: 1,191 publications and 119 first-published contributions to SCI, SSCI and A&HCI scientific journals were produced at the Alpen-Adria-Universität in the year 2013. Doncaster Deaf Trust manages, Doncaster Deaf School, Communication Specialist College, Doncaster (formerly Doncaster College for the Deaf) and Little Learners Day Nursery. We are one of the oldest deaf schools in the UK, with a proud 185 year history. At School we provided a pupil-centred approach to education from the earliest years up to the age of 19. This is extended into further education through Doncaster Communication Specialist college. We offer a safe and nurturing environment in which children and young adults can learn to communicate effectively to achieve their goals. The School offers a broad balanced national curriculum, English, Maths, Science, Religious Education, Humanities, ICT, Personal Social Development, Design Technology, Art, PE & Swimming. We also offer a Deaf Studies Curriculum which includes Deaf History, Deaf Identity, Deaf Community & Culture, Communication/Technology. On site the national specialist college for deaf and hearing impaired people is Britain's only purpose built centre for the education and training of deaf and hard of hearing in a wide range of vocational courses leading to employment. The college has residential accommodation for 200 students and a number of these have additional special needs such as visual, physical, emotional and behavioural needs. We cater for all abilities and learning styles offering vocational pathway programmes to suit every ambition. Our vocational programmes include, Catering, Health, Education and Social Studies, Hairdressing and Beauty, Media and Office Technology, Business Administration, Motor Vehicle Engineering, Trades, Photography and provide a distinctive industry-focused learning environment for learners who aim to enter employment. We have made joint document of programme and then translate it into national languages. the course, recomenndations for the teachers, the Common European Framework of Reference for Languages, references, appendices. The most innovative part of the program is lesson cycle description. Courses consists of detailed lessons plan for each of 30 lessons per level. Each partner has elaborated courses from level A1 to level B2 regarding Common European Framework of Reference. During the work on the output we have involved deaf people to consult and test teaching materials. 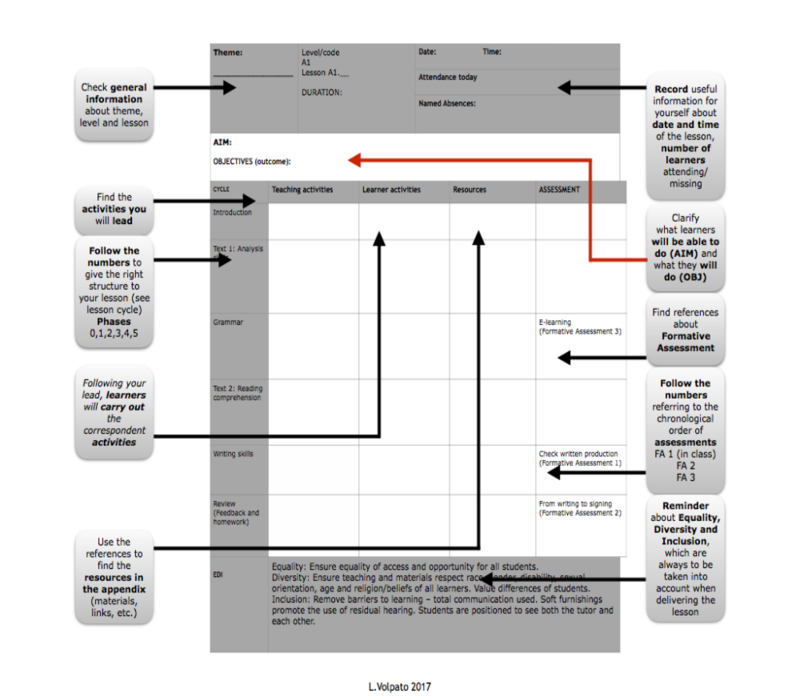 This output is ready-made for use by teachers. 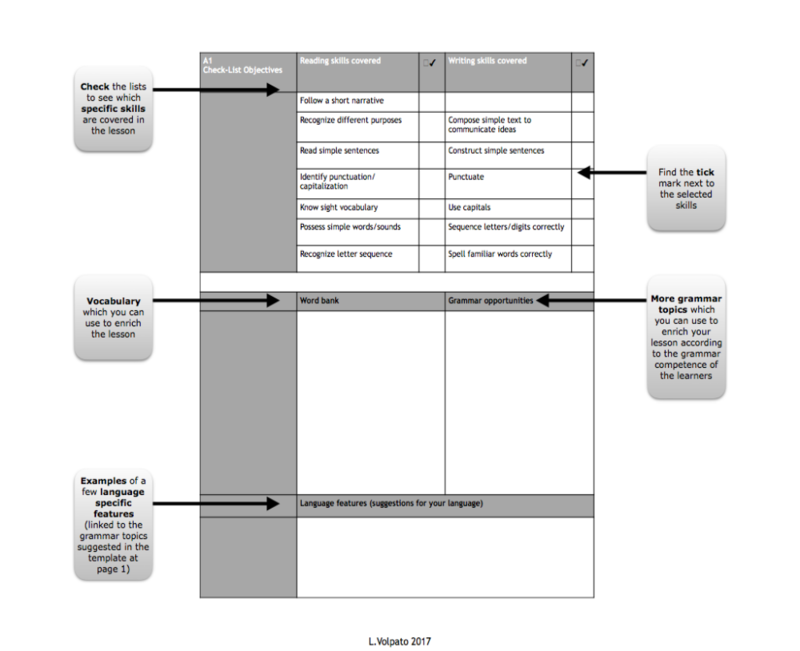 All lesson plans are prepared according to common lesson plan template. Each partner has produced one e-course (6 lessons, level A1). E-course are ready for individual users (without any external help). The European Commission support for the production of publications in the "Deaf learning" project does not constitute an endorsement of the contents which reflects the views only of the authors, and the Commission cannot be held responsible for any use which may be made of the information contained therein.